Happy Monday friends. Hope you had a great weekend post holiday. It’s crazy to me the 4th of July is the only holiday in the Summer until Labor Day. It feels like the entire season should be a holiday, right! We had some gorgeous weather here in Southern MD this weekend and had some time to take advantage of it. Laying pool side, grilling pizzas, and more, here are all the weekend highlights. Friday’s workout was a long run early in the morning. I started feeling the humidity about halfway through but finished about 8.3 miles in an hour and 20 minutes. I usually just run for a certain amount of time and initially wanted to do 1 hour and 30 minutes, but decided to skip the extra 10 and also did a foam rolling session. Friday was filled with finishing out the weekly to do list. Then around 2:00 I found myself done with everything and had some time to start a new book. 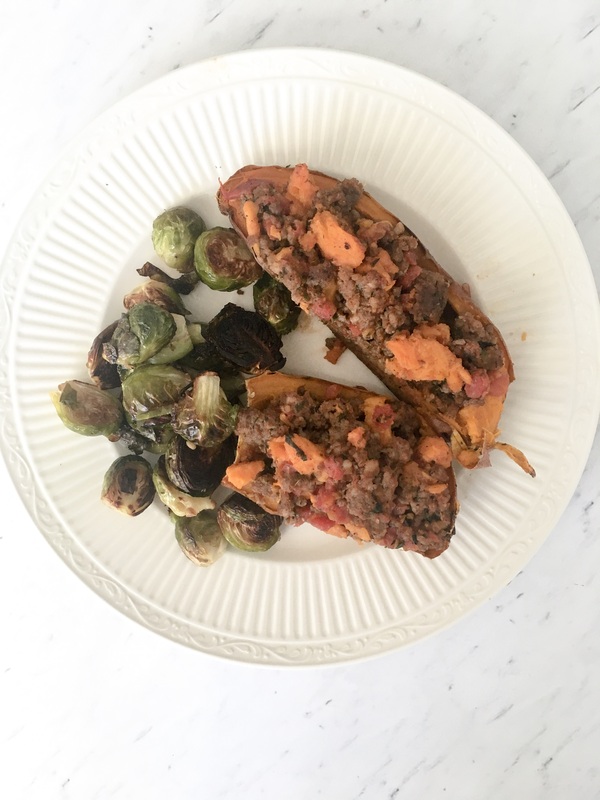 When dinner time came we were feeling something healthy-ish so I made these Paleo Sausage Pizza Twice Baked Sweet Potatoes. Can’t get enough of sweet potatoes, they pair well with just about everything in my opinion. Then we watched Chips before heading to bed. Saturday morning I walked over to our community gym and did a mix of some treadmill sprints and leg exercises; front squats, hip bridges, step ups, pistol squats, and a few machines before heading home to enjoy a cold yogurt bowl. We then spend the majority of the afternoon hanging by our community pool reading and dipping in when it got hot. Perfect way to spend a summer day. Once we had the kitchen all cleaned up we sat down to watch Nice Guys, two movies in one weekend is extremely rare for us. But it seemed like most of our favorite TV shows took a holiday break this week so there was nothing new on the DVR. Sunday morning was a much needed sleep in. I know I’m off during the Summer and could technically sleep as much as I want. But I get up when Tom does at 6:00 am for football weight training during the week. I started the day with this lower body yoga session then made another yogurt bowl for breakfast before running out for a few errands. Linking up with Meghan for Week in Review, You can view other Weekend Highlights posts here. What’s your favorite way to spend a nice Summer day? Tell me the highlight of your weekend. If I Stay is a fun read. Reading and relaxing by the pool sounds like a wonderful way to enjoy all the best that summer has to offer. And that yogurt bowl looks delicious. You are so right about the pool, everytime I’m there I feel pure bliss. Yes so happy I’m not the only one that loves mushrooms. My husband tolerates them, but I know it’s not his fav. Oh man you and Meg both are killing me with these homemade pizzas! Mushrooms are my favorite topping, too! I’ve also been randomly passing way more swimming pools lately… and now I see your picture…. I’m not even a big swimmer but man do I have a craving to get myself to one of those. I know we were all about the pizza this weekend. It really is a fun way to spend the night though. And you must find yourself by a pool someday soon. I always take a book and find myself flying through it, or if I’m tired I fall asleep almost instantly. It’s so relaxing. Grilled pizza sounds amazing! I can’t say I’ve ever made my own on the grill! Such a lovely spread of delicious summer foods you’ve got going on! Grilled pizza just somehow taste so much better than in the oven. It’s a more complicated process, but so worth it. That pizza looks soooooo good. 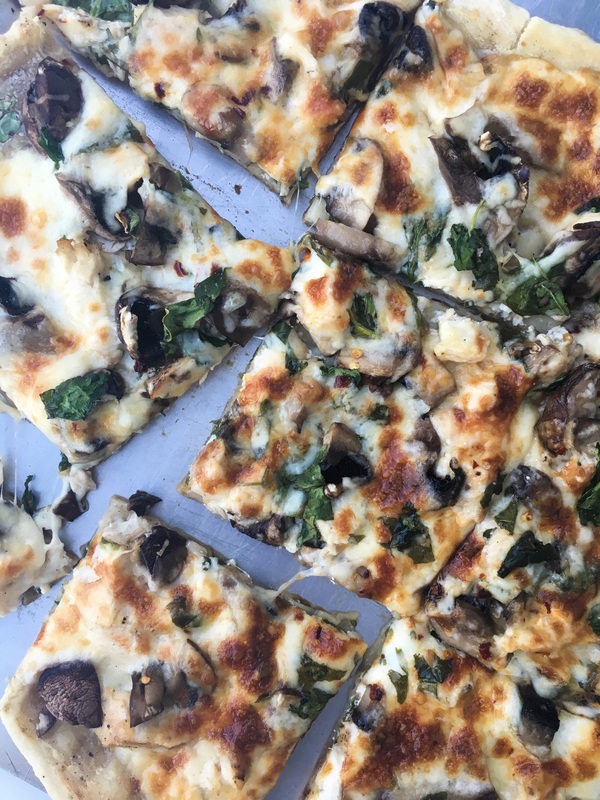 Mushrooms are the BEST pizza topping, though I won’t say no to artichoke hearts. 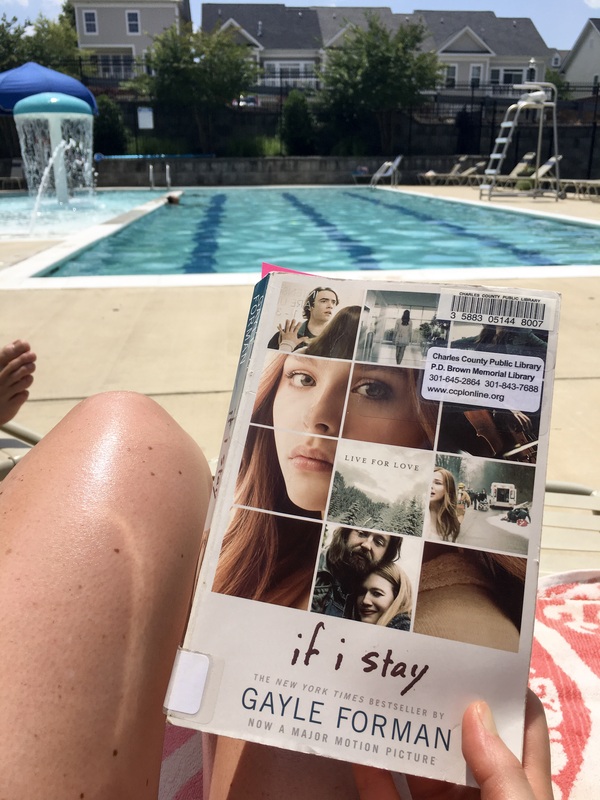 And I’ve been wanting to read ‘If I Stay.’ I’m on the lookout for good summer reads. Yes so happy there are so many other mushroom lovers out there. And I only have a few pages left of If I Stay so it’s a super easy read. I finished The Husband’s Secret which was really good and have The Hand that Feeds you to read next. I’m with you on summer time. It feels like the whole season should be a holiday, especially now that I no longer work (aside from the whole raising a child thing, that is). Apparently pizza and pools were on both our menus last week, as they should be. In fact, I’m hoping for more of the same this week. I love those foil packets!!! 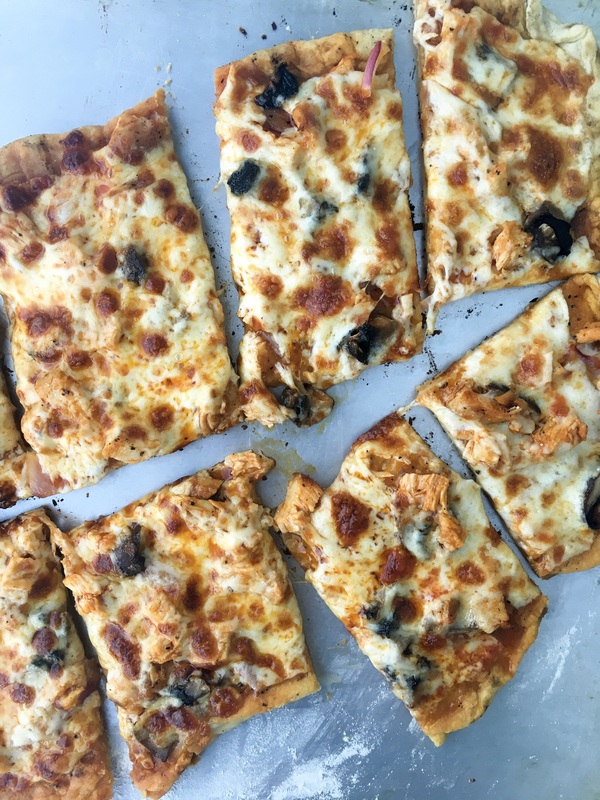 We need try those – it’s way to hot for the oven to be on! The last move I saw was Wonder Woman. LOVED it! I heard Baby Driver is good; that may have to happen this weekend. Oh thanks for the movie recommendations, we always sit around trying to find something to watch and can waste up to an hour doing it, uh. And YES no oven when it’s hot out, I can’t even. lol. That pizza looks amazing! I love lazy days by the pool. We had a staycation at a local resort over the weekend. It was such a treat! Oh a staycation sounds so fun! And nice that you don’t need to worry about the stress of traveling! I grilled pizza last weekend too! Mine was a white asparagus pizza that turned out so yummy. And wow, you still get up at 6 during the summer?! I’m more of a late night person and don’t wake up really early unless I absolutely HAVE to. I’d rather work at 9 pm instead of 5 am! I know I’m weird in that I love the mornings and hate feeling like I’m missing them, but I fall asleep pretty early too. And grilled pizza night is the best, I don’t think I’ve ever had asparagus on pizza that sounds so good though! This pizza looks fantastic! Now I’m hungry…I’m not much on swimming, but the pool looks so inviting! I just like dipping in and out of the pool when I get too hot. We sure need it here on some our 90+ degree days with humidity. I second the motion on sweet potatoes! You can never really go wrong. Not the ‘best’ one I’ve seen recently but since I saw it just this afternoon I will say the new Spiderman! I really need to put on my bathing suit and get outside to enjoy the sun! Looks lovely! Oh I want to see the new spiderman movie and The Big Sick looks really funny and is coming out this weekend. And yes to all things sweet potatoes, it’s amazing I how I never used to eat them now I’m obsessed. 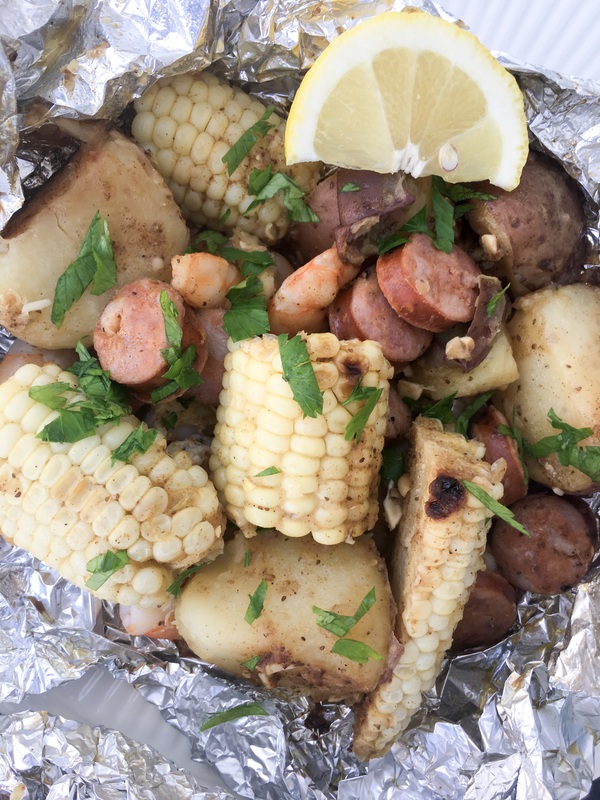 Those Grilled Shrimp Boil Foil Packets look amazing! Seeing our little guy so happy in the pool made our weekend! The foil packets were so easy and convenient since it’s been pretty hot out. It was nice to just prep everything on the grill. Hi! 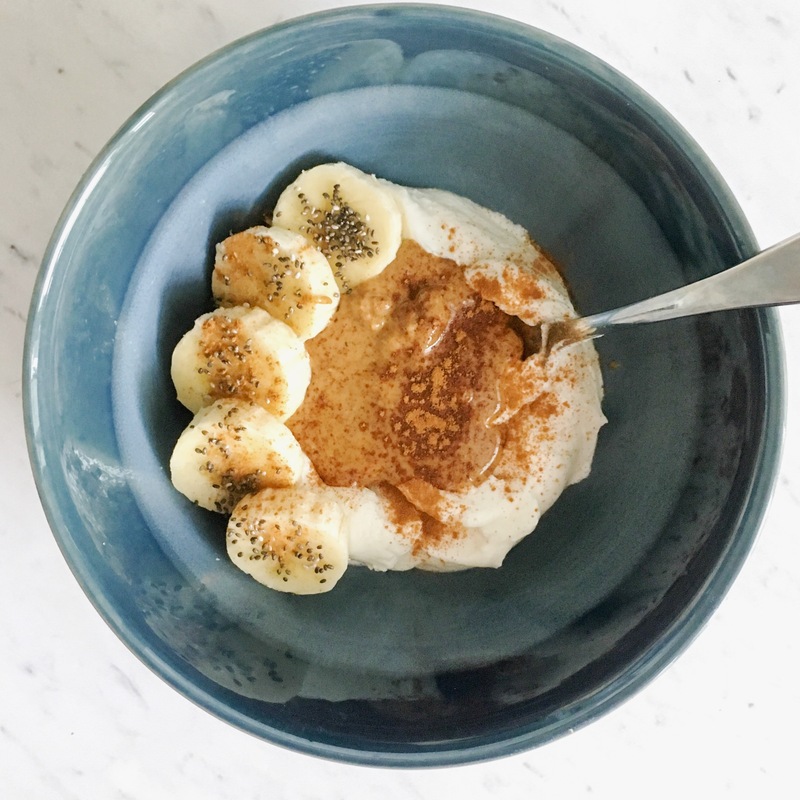 I found your blog through Peanut Butter Fingers blog and I’m so glad I did…Ummm your food looks AMAZING!! Me and my husband watched Fist Fight recently not expecting much, the trailer actually looked pretty blah. We ended up laughing nonstop. The reason the trailer was lackluster was because they couldn’t actually show all the funniest parts in the trailer…..the movie is EXTREMELY ADULT ONLY content. So if your in the mood for silly, adult, no-brainer comedy, it’s a good one! Hi Kelly! Thanks so much for your sweet words about my food 🙂 And I haven’t heard of Fist Fight, we’ll definitely need to look into that one. I love a good comedy. Happy Monday.